Last week marked the halfway point in my MFA in writing program at the Northwest Institute of Literary Arts. I’m majoring in nonfiction, but this low-residency program requires students to take some courses in other genres. This semester I’m taking a course in the Craft of Poetry; I wrote about my tentative beginnings in the class in January, and I continue to be challenged by this “foreign language.” Yet, as I’d hoped and expected, the poetry reading and writing I’m doing is strengthening and invigorating my prose; I’m seeing evidence of that as I also work on my thesis—a book-length spiritual memoir. To reward my progress, I treated myself to a couple of days on the mainland, including a stop at the award-winning Katie’s Cupcakes in Bellingham, WA. 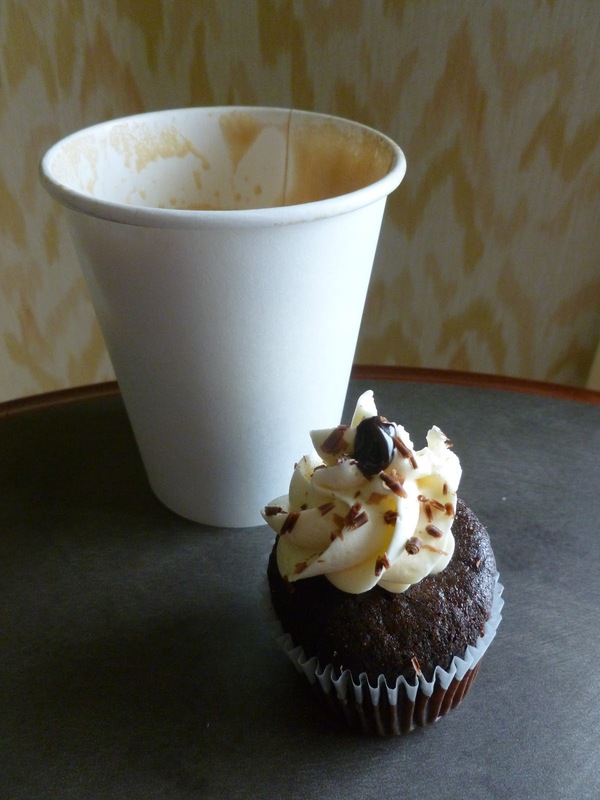 For now, I enjoyed a mini-cupcake (about half the size of a regular cupcake). Delicious. *Beginning in January 2012, I instituted posting an “Afterthought” on the last day of each month, fashioned after a practice in some Quaker meetings. At the end of meeting for worship, some groups continue in silence for a few more minutes during which members are invited to share thoughts or reflect on the morning’s worship. I’ve adopted the form here for brief reflections on headlines, quotes, comments overheard, maybe even bumper stickers.